The songs are irresistible and so is the dog! Snoopy! 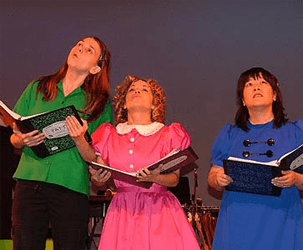 the musical provides a dog’s eye view of the Peanuts pals. Day in day out, everyone’s favorite beagle looks upon the world from atop his doghouse. But this precious pooch want to kick up his paws and dance, go to school, write the world’s greatest novel and much more. Whatever this dog wants to do, he does! After a successful run in Broadway’s Thoroughly Modern Millie, Sutton honed her producing talents, along with Jamie McGonnigal, by presenting Snoopy! The Musical. 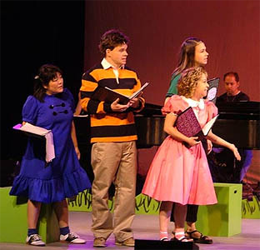 Proceeds from the production went on to benefit the Pied Piper Children’s Theatre. 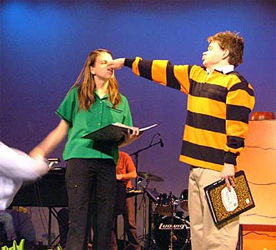 Sutton also played the role of Peppermint Patty in the presentation. This all-star event was a resounding success, bringing in over $70,000 for the school.